Cairo, ALRAY - Arab foreign ministers stressed Tuesday the need for the UNRWA to keep its pivotal relief role to the Palestinian refugees, warning against undermining the UNRWA’s roles and efforts, which would thereby complicate the situation in the Middle East. This came in an extraordinary session in Cairo at the level of Arab Foreign ministers to address the UNRWA crisis at the sidelines of the 150th session of the Arab League. The ministers asserted that the necessity for the agency to continue to pursue its relief work for over five million Palestinian refugees in its five areas of operations is an international, political, legal and moral duty, as mandated by the UN. They added that maintaining the UNRWA means respecting the right of refugees to live a dignified life and the right of over 550.000 refugee children to attend school, and an international confirmation that the Palestinian refugees’ cause is one of the final status issues, which can be solved on the basis of the resolutions of the international legitimacy, primarily 194 resolution and the Arab Peace Initiative. The ministers agreed during the session to continue further discussions regarding the cause in light of the outcomes of the International meeting called for by Jordan in coordination with Egypt and Palestine and in cooperation with Sweden, Germany, Japan, EU and Turkey. 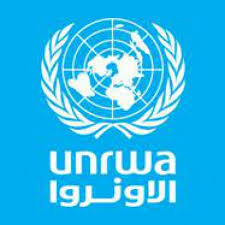 The ministers appreciated all international stances supporting the UNRWA and thanked all countries that have provided financial funding to the agency this year, which has led to leverage additional funding of 200$ million and reduced the UNRWA’s fiscal deficit of 2018 from 417$ million to 217$ million. They added that the funding of these countries has contributed to the opening of schools, ensured the continuity of providing services to refugees, and is a clear message that the world supports UNRWA and its roles. The ministers also regretted the US’s decision of defunding the United Nations Relief and works Agency (UNRWA), warning of its dangerous repercussions which exacerbate the humanitarian situation of the Palestinian refugees. The UNRWA began its operations in May 1950, after which its functions were renewed periodically, most recently in June 2017. The US was the largest donor to the UNRWA, providing $368m in 2016 and funding nearly 30% of its operations. The UNRWA also receives relevant support through voluntary contributions from UN member states.